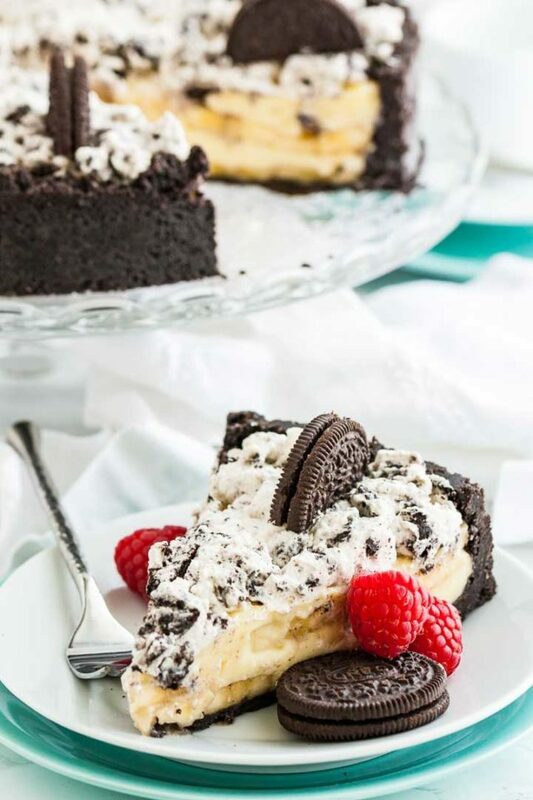 Banana Cream Cake with a homemade OREO cookie crust is the perfect No-Bake dessert for any occasion! 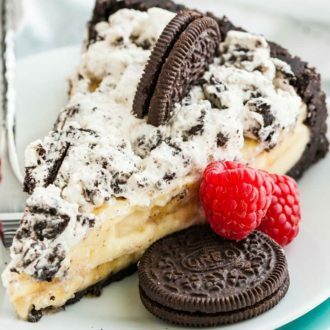 Made with a luscious banana pudding filling made completely from scratch and topped with whipped OREO cream, this banana cream pie recipe is always a hit. 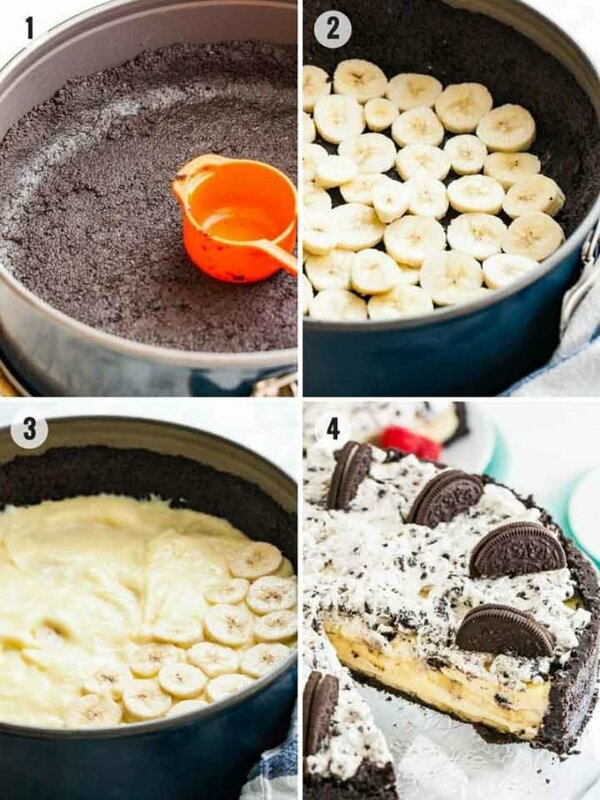 Oreo Banana Cream Cake is made without box-pudding mixes but holds together perfectly! 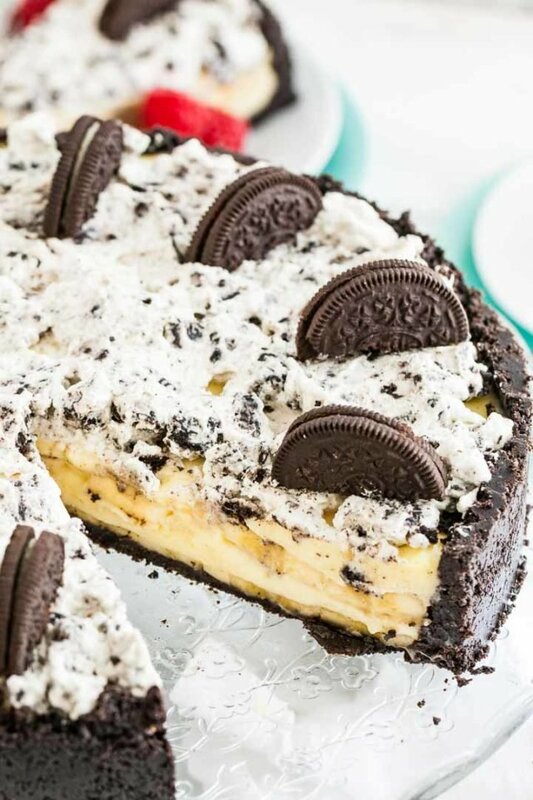 A delicious homemade vanilla custard filling that holds together well enough to serve it, but is still creamy and delicious, layered with fresh bananas inside an Oreo cookie crust. This is the PERFECT banana cream pie! The homemade banana cream pie filling is easier to make than you might think and has a perfectly balanced taste. 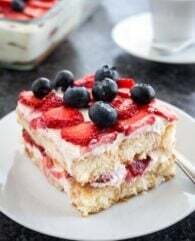 Many recipes for banana cream pie use banana pudding mixes but I’m not the biggest fan of artificial flavors and often find the banana taste in these recipes overwhelming. That’s why I love this recipe! 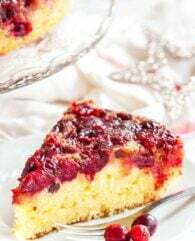 Even if you’re not a big banana fan you’ll want a second slice of this cake!! The banana flavor is not overwhelming but pairs perfectly with the homemade custard and the Oreo cookies. Don’t we all love the chocolate and banana combo?! This easy banana pudding cake recipe makes a pie that has a filling that won’t turn into a sloppy mess while cutting slices and tastes so delicious, you have to try it! Easy Lemon Cream Pie Recipe – This is one of my most viewed recipes during the summer months! No Bake Key Lime Pie – This pie tastes so refreshing! Easy Chocolate Mousse Recipe – Made without eggs, this chocolate mousse can be enjoyed by everyone! Chocolate Mousse Cake – An airy mousse cake without eggs that is so easy to make! A 9-inch springform pan works best for this recipe! This sturdy whisk set is a kitchen must-have! My favorite saucepan! 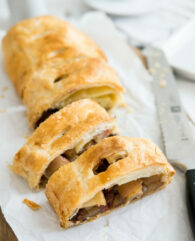 It has a nonstick coating and is perfect for making homemade pudding. This is my go-to vanilla extract! It has the best taste and I always buy a bigger bottle because I use it so much. 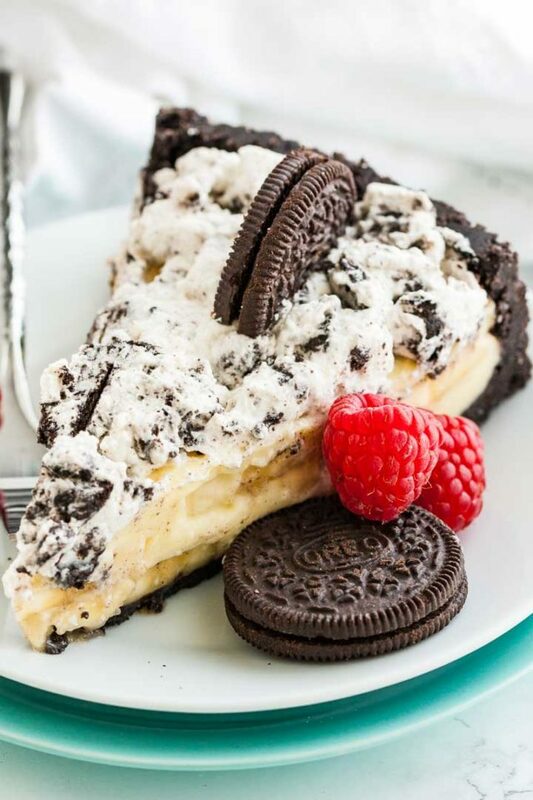 Want to try this Oreo Banana Cream Pie Recipe? Combine crushed Oreo cookies and melted butter. Press mixture into the bottom and 2 inches up the sides of a 9-inch springform pan. Chill crust for 30 minutes. In a small saucepan add milk, heavy cream, egg yolks, sugar, and cornstarch. Whisk until smooth. Bring to a simmer over medium heat while whisking constantly. Cook for about 10-15 minutes until thickened. Remove from heat and add vanilla extract and butter. Put half of the bananas in the bottom of the chilled crust and top with half of the pudding. Repeat with remaining bananas and pudding. Refrigerate for 4 hours or until set. Just before serving, whip up heavy whipping cream until stiff and combine with crumbled Oreos. Distribute whipped Oreo cream over the cake and serve.